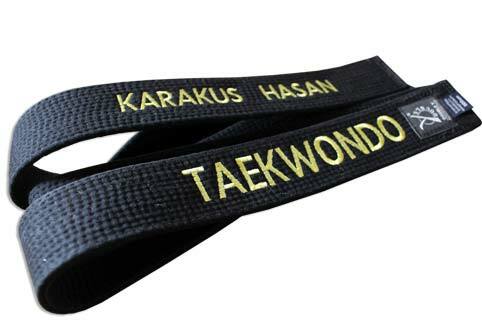 It is possible to embroidered one or both sides of the belt (it costs 8€ each) : name and/or firstname, and/or name of martial art or then again your Club's name. 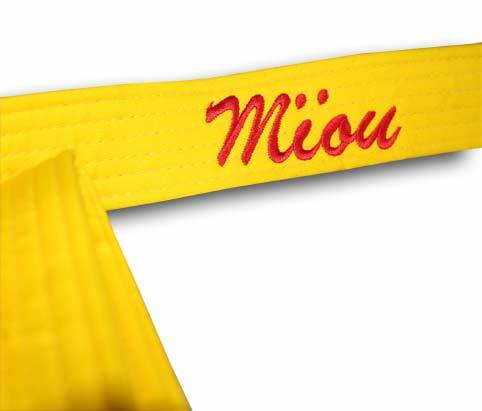 - Specify the description of the belt ordered (color + size) in the blank space "item description"
- Embroidery first side : write the name and/or the firstname (or a free name) to embroidered. 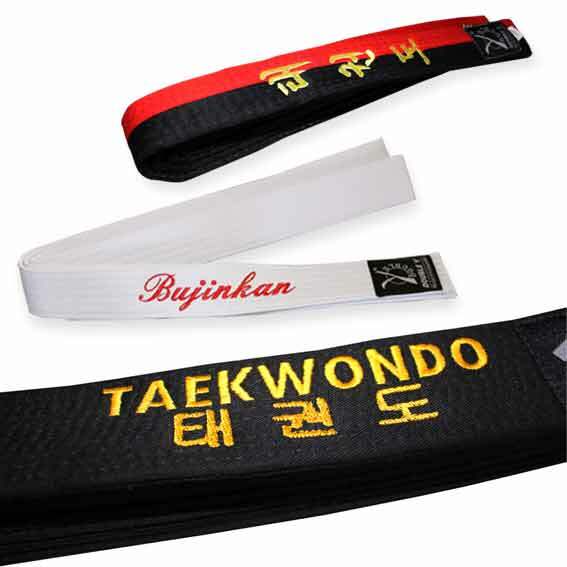 - Embroidery 2nd side (label side) : tick the box of your martial art. Embroidery is Traditional Chinese (Kanji), Korean or by discipline. Or a free name like your club's name. Embroidery will be made with such upper and lower case as you write them. We recommend to limit to 20 charaters in order not to clutter your belt. - Choose the color of your embroidery. Ecriture KATAKANA : le Katakana est un système d'écriture de la langue japonaise permettant la transcription phonétique des noms étrangers. Il facilite la prononciation de votre prénom par un Japonais. 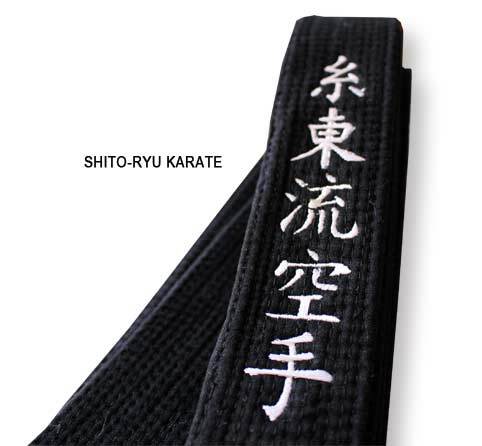 Les prénoms en katakana sont brodés généralement sur les ceintures d'arts martiaux, hakama, karategi japonais.